This season Maison Blanc invites you in to a wonderful world of freshly baked artisan breads, pastries and savouries, fabulous breakfasts, light lunches and, of course, world famous cakes and pâtisserie that are all hand finished to perfection and bursting with seasonal flavour and a touch of French magic. With 14 shops in and around London, you can pop in at any time and treat yourself and your friends and family to something really delicious. For the festive season their famous 6 portion Bûche de Noël returns in two delicious flavours; Dark Chocolate & Vanilla Brûlée or Arctic Mascarpone and Cherry. 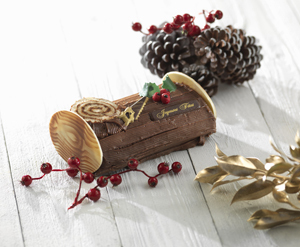 The Classic Christmas Log is new this year and is a chocolate sensation with chocolate diplomat cream, light chocolate sponge enhanced with a raspberry compote centre. Their Christmas treats make the perfect excuse to put your feet up and relieve some of the festive stress, so pick-up one of the delicious pâtisserie to share this Christmas. If you’re after a light lunch to enjoy with friends, you can also pop in at any time over the winter months and enjoy a warm winter Goats Cheese and Pear Salad, served with thinly-sliced Williams pears, crisp salad leaves, baby plum tomatoes and cucumber, topped with crunchy goats cheese croutons. 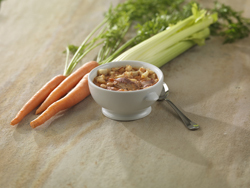 They will also be serving a fabulous French Onion Soup served with Comté cheese, croutons and bread, as well as Le Cassoulet; a rustic combination of white beans, garlic sausage, bacon lardons and slow-cooked confit duck, served with bread. 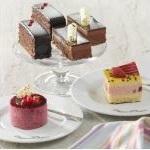 Breakfast is also a lovely way to enjoy a leisurely catch-up with family and friends. Come in and relax and enjoy fresh fruit juice, tea or coffee with freshly made free-range eggs, served either boiled or scrambled with their very own Pain Maison or Pain aux Cereales. Or why not try the finest Smoked Salmon Platter, or their more traditional continental breakfast. 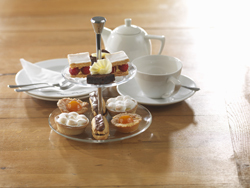 And if you want to enjoy a few different sweet things with a friend, there is also a fabulous afternoon tea for two offering an incredibly tempting selection of ten delicious and perfectly formed mini pâtisserie, adapted from some of Maison Blanc’s most popular creations including two exquisite mini chocolate éclairs, two mini apricot almondines, two lemon meringue tarts, two soft chocolate brownies and two millefeuille framboises.